We hear and we forget. We see and we remember. We do and we understand! 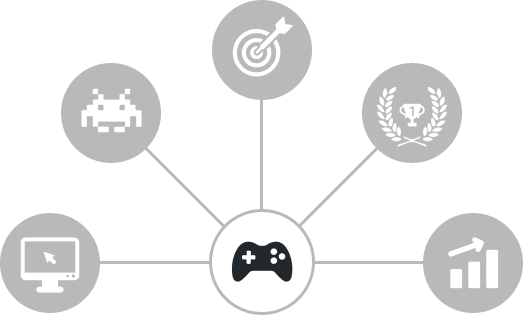 Gamification involves combining the mechanics of video games with education and speeds up the learning process, at the same time improving the recall of learned information. But is learning this way actually effective? Every one of us possesses certain skills we develop over the years by training, exercising and educating ourselves. Although the skills in question may be crucial, learning them can get tiresome. Some things just have to be experienced. People relied on personal experience as a source of knowledge since the dawn of civilization. Lecture rooms and tutorials pushed us away from acquiring hands-on experience motivated by the nature of our needs at the time. Gamification provides a new way of learning things through experience, playing games and having fun. The key to successful educational projects is engaging the users. There are many ways of accomplishing this, but the most important point is seizing every available opportunity to do so. We know how to engage ourselves to make sure your employees engage themselves as well. Motivating people to learn something new in the first place is an incredibly hard task. Average training courses – the opposite of gamification – sometimes accomplish very little apart from causing participants to lose interest in going through company training. But gamification done wrong will fail as well. A trainer may try to introduce game-inspired incentives such as badges for completing training courses, but will obtaining a badge actually cause people to learn more effectively? Psychologists have established that an external stimulus disconnected from the task at hand (e.g. simply obtaining a new badge) may actually lead to decreasing the person’s interest in further participation! class="page-template page-template-page-sections page-template-page-sections-php page page-id-1810 samba_theme samba_left_nav samba_left_align samba_responsive wpb-js-composer js-comp-ver-5.0 vc_responsive"